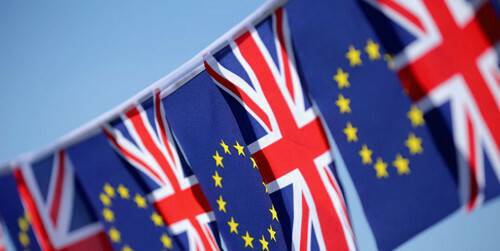 What does Brexit mean for Property Investment? The UK does not have enough homes. The building of new homes is slowed by obstacles such as planning regulations, poor public investment, too few qualified construction workers and the growing cost of sourcing raw materials. Demand is increased further by a growing population and low borrowing costs. The failure of supply to meet demand has driven house prices up, and the trend is set to continue over to medium and long term. During times of economic uncertainty, residential property has always outperformed other investments – it also generates a very attractive income. Even during the Global Financial Crisis, British property performed better than the FTSE all-share index. Unlike stock and shares, which are very liquid, few people are willing to sell residential property during times of uncertainty. This puts more pressure on supply and pushes prices higher. Property investments provide a healthy long-term income. The average net dividend yield across our platform is currently six times higher than the Bank of England Base Rate, and some properties provide an income up to ten times higher. Vital transport infrastructure and regeneration projects, such as Crossrail and new investment in towns and cities, will help maintain the growth of the property market in key areas. So yes, “Leave” may have won the referendum, but we believe that the only word to describe the UK housing marketing is “Remain”. There may be rocky roads ahead for all markets over the next few months, but the medium and long-term prospects for the UK residential property market remains strong. Ultimately, we all need a place to call home.